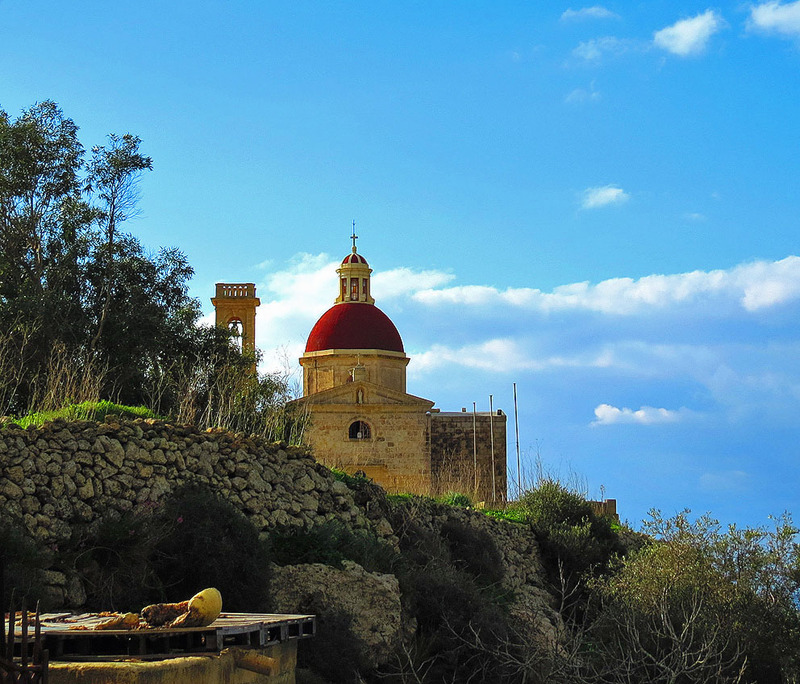 The rural enclave of Mtahleb in the island’s remote western area is perhaps the loveliest such settlement in Malta. Situated some four kilometers outside Rabat, its tiny population is spread out over the few farmhouses which dot the valley below the upper line of cliffs with a concentration of a few more abodes around the small church which is the area’s only significant man-made landmark. 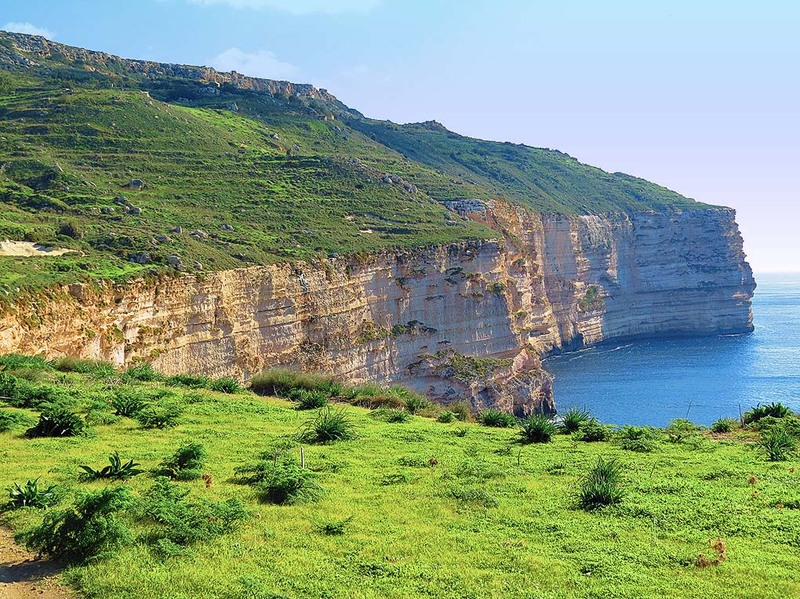 On an island as small as Malta and with development taking up a good third of the land area, one might think that secluded rural regions are a thing of the past. Fortunately not quite. Here and there one finds pockets of a laid back and more tranquil lifestyle where time really seems to have stood still forever. The rural enclave of Mtahleb in the island’s remote western area is perhaps the loveliest such settlement in Malta. Situated some four kilometers outside Rabat, its tiny population is spread out over the few farmhouses which dot the valley below the upper line of cliffs with a concentration of a few more abodes around the small church which is the area’s only significant man-made landmark. The small church itself seems to hang precariously on the upper cliff edge while below it spreads a lovely valley amid a couple of hillocks. The sheltered valley is a very fertile one with a plentiful supply of water and the fields stretch from below the upper line of cliffs almost to the edge of the lower seaboard ones. There is a maze of small paths and byways to explore and just one paved road that goes all the way to the sea cliffs. This road goes past the church and then descends sharply to the area known as Migra l-Ferha – traditionally held as the spot where Count Roger landed in 1091 and liberated the islands for Christianity from their Arab rulers. This is highly dubious – Migra l-Ferha is a deep ravine, and although it does offer the only access to the shore in the sheer wall of cliffs by means of a rock-hewn set of stairs, one can hardly picture a Norman prince coming to the island in such an undignified manner! From the improvised car park at Migra l-Ferha one can follow the line of cliffs eastwards for about two kilometres. This is a highly scenic area with the sea and the cliffs to one side and the hillside to the other. At a curve in the cliffs and visible from land there is a sea cave known as Ghar id-Dwieb – from here there is a path which climbs back to the church if one wants to make a circular route. Alternatively one can easily walk back to the small car park (highly recommended since the views are so exceptional). The seaboard path carries on for some time past the bend in the cliffs up to a point where the path is bordered by two large boulders – this is the signal to turn back since the path then becomes dodgy and strays into private land. Mtahleb cannot be reached by public transport and is itself more than an hour’s walk from Rabat so a car is essential to get you there and makes exploring this lovely area all that much easier. The steep road going down to the cliffs mentioned earlier is a popular venue for Sunday car climb events so Sundays are best avoided. 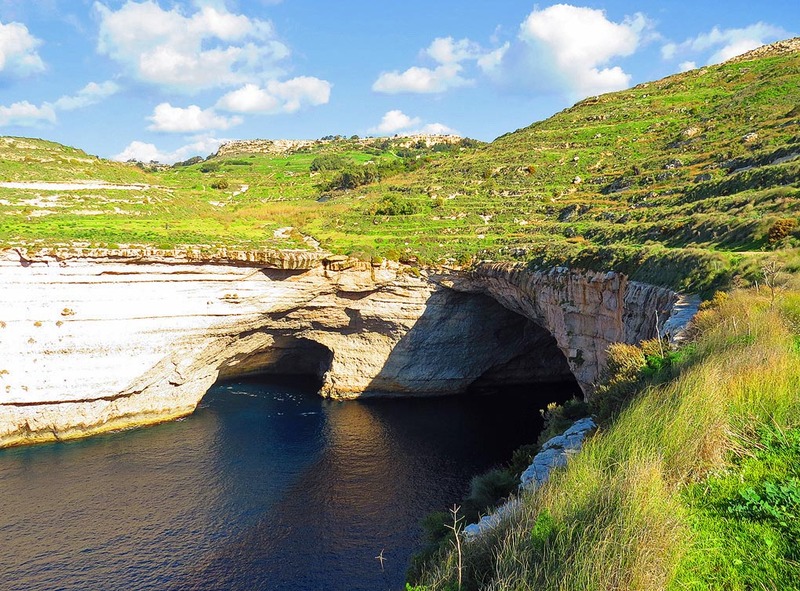 Sunny winter days bring out the best of the Mtahleb area – and sunny winter days are (not surprisingly) a very frequent occurrence in Malta.